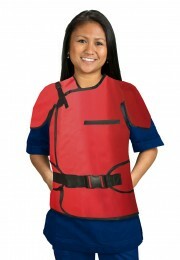 Techno-Aide Lead and Lead Free Aprons for Radiation Protection: A well-fitted protective apron is the bedrock of radiation protection. Guarding you from both direct beam and scatter radiation. 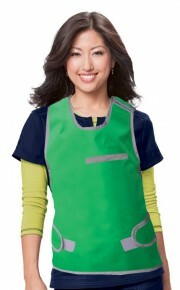 Wearing radiation protection lead and lead free aprons greatly reduces an individual's exposure to radiation. We offer three apron media types which all meet or exceed recommended lead equivalency and attenuation rates, but each uses different materials to achieve this. 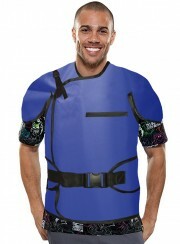 Economical Regular Lead garments contains 100% lead making these the heaviest apron we offer. Lightweight Lead garments use a mixture of lead & other lighter weight metals making these lead aprons approximately 25% lighter than regular lead aprons. 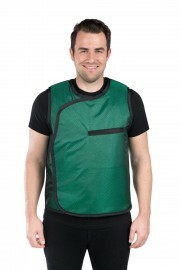 LMG Lead Free aprons use 100% nonlead attenuating metals to provide complete protection. 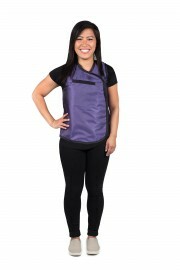 These aprons are the lightest weight aprons that we manufacture and are 100% environmentally safe. 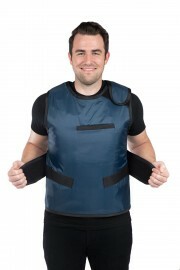 There is no safe amount of radiation, so be sure to protect your staff and your patients with durable, high-quality X-ray garments from Techno-Aide. NEW for 2019 - our default fabric is our new Anti-Microbial Sapphire Blue. An easy to clean filament reinforced fabric offering the greatest durability and top microbial protection.